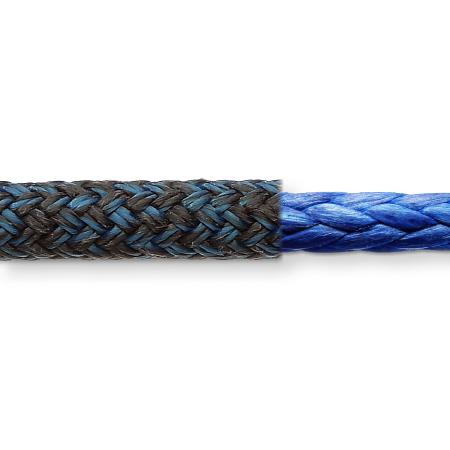 The “Plus” version of the Admiral 10000 features a special fiber mixture of Technora®/Polyester and UHMPE in the cover which makes the rope withstand ultra-heavy abrasion. This line has impressed previously with its optimum control on the winch. Now the “Plus” version confidently withstands any abrasion test. If your winches destroy even this cover, the only remedy is the PBO fiber.